Chuck Stake (actually Don Mabie) was born in Calgary in 1947. He studied Fine Arts until 1969 at the local Alberta College of Art. In 1968 he made his first performance in Calgary. From 1970 to 1974 he lived in Toronto. During this time he toured across Europe for six months. Then he went back to Calgary, where he remained until 2006. He then moved to Nakusp, British Columbia. He got particularly known as a member of the international performance group The Nomads (including Jürgen O. Olbrich and Vänci Stirnemann). 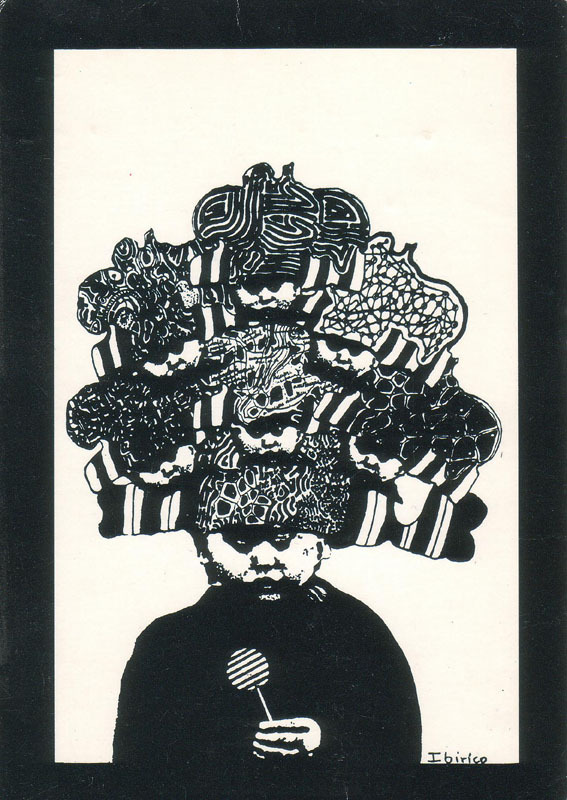 The group participated in the documenta 8 in Kassel in 1987, but they performed in the other members’ hometown, such as in Zurich and San Francisco as well, besides others during the INTERDADA Festival, and on numerous occasions in Calgary. He gave himself his stage name in 1972 when he founded the Chuck Stake Enterprizes in Toronto and started his Mail Activities (CMA). He uses it for most of his artistic activities, including Artist Trading Cards (ATC). 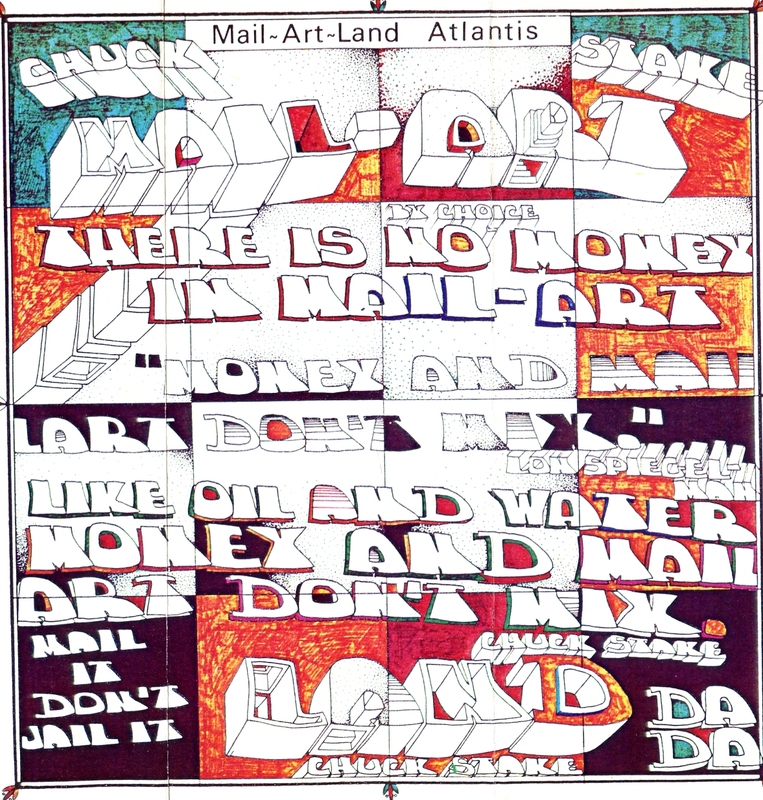 Overall, he organized some 25 mail art exhibitions. 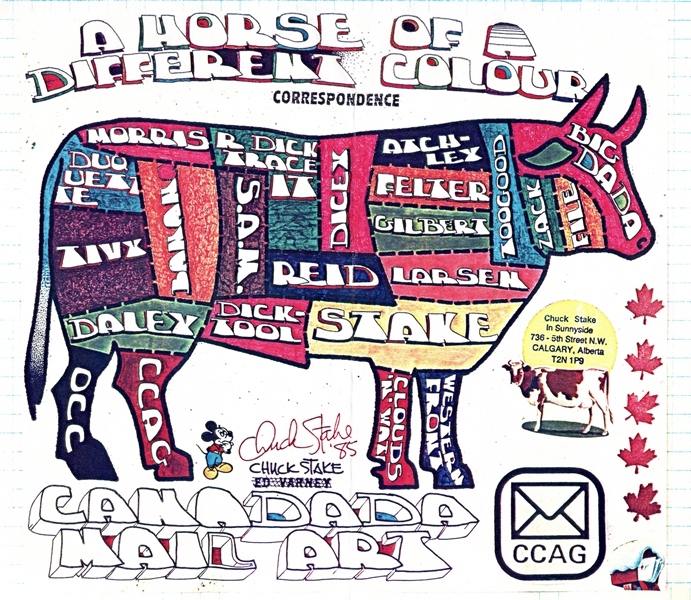 Chuck Stake (Don Mabie) taught at the University of Calgary and has taught for many years as a Sessional Lecturer at the Alberta-College of Art and Design (ACAD). In 1996, he had a retrospective at the Illingworth Kerr Gallery in Calgary, with a comprehensive catalog being published on that occasion. In 2001 he received the “Award of Excellence” from the Alberta College of Art & Design for his life’s work and his contributions to the arts in Alberta. Chuck Stake (eigentlich Don Mabie) wurde 1947 in Calgary geboren. Er studierte bis 1969 die Schönen Künste am dortigen Alberta College of Art. 1968 machte er die erste Performance in Calgary. Von 1970 bis 1974 lebte er in Toronto. Während dieser Zeit tourte er sechs Monate quer durch Europa. Danach ging er zurück nach Calgary, wo er bis 2006 blieb. Danach zog er nach Nakusp, British Columbia. Besonders bekannt wurde er als Mitglied der internationalen Performancegruppe The Nomads (u.a. mit Jürgen O. Olbrich und Vänci Stirnemann). Die Gruppe nahm im Jahr 1987 an der documenta 8 in Kassel teil. Sie trat aber auch in den Städten der anderen Mitglieder auf, wie z.B. in Zürich oder in San Francisco beim INTERDADA Festival sowie bei zahlreichen Gelegenheiten in Calgary. Seinen Künstlernamen gab er sich 1972, als er die Chuck Stake Enterprizes in Toronto gründete und mit seinen Mail Activities (CMA) begann. Er verwendet ihn für die meisten seiner künstlerischen Aktivitäten einschließlich Artist Trading Cards (ATC). 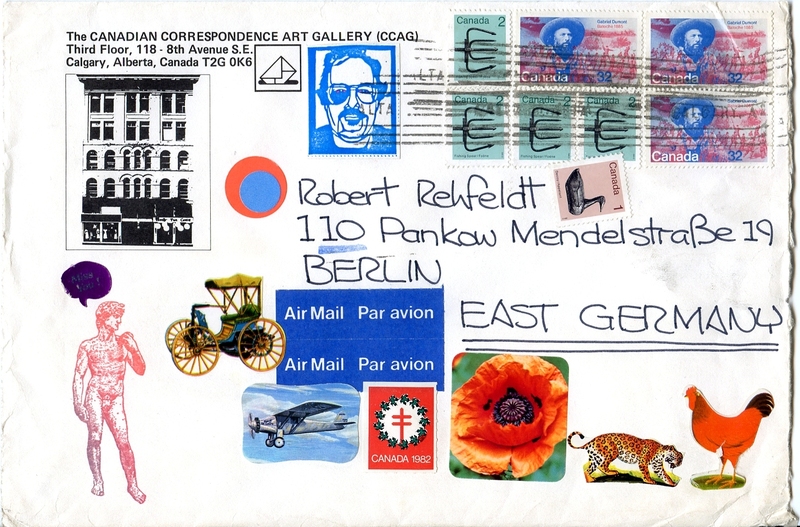 Insgesamt organisierte er rund 25 Mail Art-Ausstellungen. Chuck Stake (Don Mabie) hat an der University of Calgary gelehrt und unterrichtet seit vielen Jahren als Sessional-Dozent am Alberta College of Art and Design (ACAD). 1996 hatte er eine Retrospektive in der Illingworth Kerr Gallery in Calgary, zu der ein umfangreicher Katalog erschien. 2001 erhielt er den “Award of Excellence” des Alberta College of Art & Design für sein Lebenswerk und seine Verdienste um die Kunst in Alberta.